The church is a family, not a business. Most people won’t argue with that, or at the very least they’ll make a case that it’s both. But that’s not always the impression you get when listening to church leaders talk. When I go to church and hear a sermon, I expect to hear a teaching on God’s word, not an up-date on that church organization’s media outreach, how many associate pastors have been hired, or how much money their latest donation campaign brought in. Sermons like that just don’t make it seem like the church group is modeling themselves after the New Testament church established by Jesus Christ. Sometimes (in my more cynical moments) I wonder if we’re even trying. In John 13-17, Jesus delivers the longest uninterrupted discourse we have record of near the end of His life. Usually we look at “the Great Commission” in Matthew 28:19-20 for Christ’s take-away message to His church, but a good case can be made for viewing this section of scripture in that way as well. Jesus starts out by demonstrating servant leadership in washing His disciples’ feet. That’s how He wants them to lead after He’s gone — by humbling self and serving others (John 13:12-17). Then He connects their walk as His followers with what He’d previously identified as the Great Commandments: love God, and love your neighbor. It might not sell as well as “preaching the gospel,” but love is the succinct mission statement of Christ’s church. It’s not something you tack on as an afterthought — “we’ll do this, this, and this with love.” Love is the essential character of God. If we want to be like God, we have to embody His love. As we move into John chapter 15, the focus stays on individuals. There are multiple branches abiding in the True Vine, but the message is to each one individually (“every branch in Me,” “a man, “you abide in me”). There’s no diffusion of responsibility for bearing fruit; it’s something every person is told to do. Sometimes in church, we’re told it’s enough to tithe to an organization that’s bearing fruit. This makes me think of the parable of the talents, when the Master tells the servant who buried his talent, “you ought to have deposited my money with the bankers, and at my coming I would have received back my own with interest” (Matt. 25:24-27). Supporting an organization that’s doing good things is better than nothing, but it doesn’t exempt us from personal action. The first time in this section of scripture that Jesus mentions selecting and sending people to go and do something, it’s to “bear fruit, and that your fruit should remain” (John 15:16). That’s shortly followed by telling the disciples they will “bear witness” of Him (15:27). Fruiting and witnessing will involve preaching, but that’s not the foundation. When we read Jesus’ final prayer, He mentions several more things His followers should and will do. They will “know You, the only true God, and Jesus Christ whom You have sent” (John 17:3). They will keep His word (17:6). They will believe in Christ and His mission as the One Sent (17:7-8). They will not be like the world, though they are sent into the world (17:14, 16, 18). They will become one with God in His love (17:21-23, 26). What we’re doing as Christ’s followers involves so much more than systematizing preaching of the word. Individually, our responsibility is to love God, attach ourselves to Him, and keep his commandments. Our connection to the Vine will result in bearing fruit for His glory. If our church’s mission by-passes that and goes straight to “we need to preach the gospel,” then we’re missing the mark. This phrase is lifted out of Hebrew 2:10. Whenever anyone quotes an isolated phrase of Biblical text, it’s a good idea to check it out in-context to get a fuller idea of the meaning. Do you see anything in this passage about our role in bringing God’s children to glory? No — that’s the sole province of God our Father and the Captain of our salvation. We are “those who are being sanctified;” Christ’s brethren who He is bringing to glory. That’s where we show up in this passage of scripture. Belief is a key foundation of our faith. Here, it’s also defined as “the work of God” that we’re given to do. Considering the context — people asking about the miracle of the loaves and the fishes (John 6:5-15, 25-27) — you can also read that belief is a prerequisite for doing works powered by God. This agrees with a later verse in Christ’s last Passover discourse. When we’re in relationship with Jesus Christ and our foundation is strong in Him, we will do works like He did and for the same reasons He did. Christ’s every action on this earth — works of healing, inspired preaching, miracles — all pointed people toward the One True God. That is our mission also. But this is done through individuals, not organizations. If an organization is doing good works, it’s because there are true Christians within it whom God is working through. 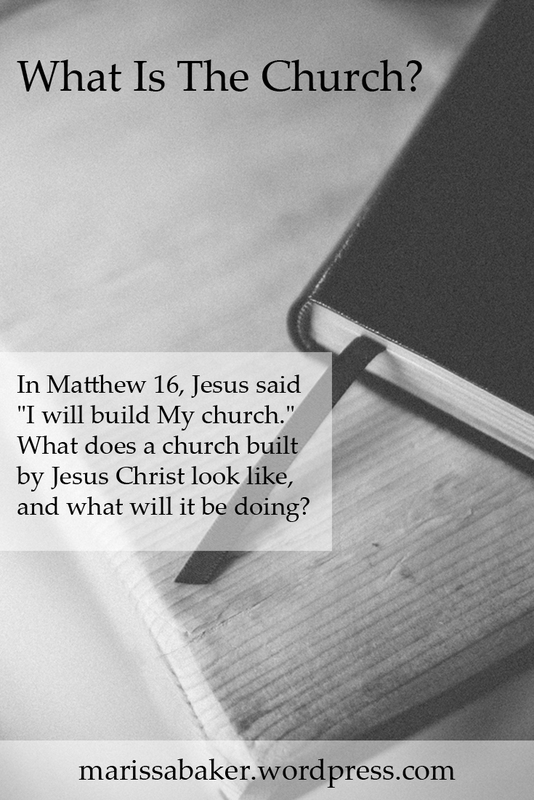 The true church is the body of believers that Christ is building — the collection of individuals He is working with. Within the church, God works with each person to help them bear fruit. The fruit won’t look the same for everyone. Some will preach, some will support preaching, some will heal, some will serve within the body, some will have great wisdom, some will model exemplary faith (1 Cor. 12). Preaching will result whether you treat the church as a business or as a family, but what fuels preaching in each situation is very different. In one case, you have an organization focused on spreading God’s word as much as they can. The emphasis is on what we’re doing, who we’re training, how many we’re reaching. In the other, you have a group of people so in love with God that they have to share His message. The focus is on loving God, rooting yourself in Him, and then bearing fruit for His glory, which involves pursuing the same things He values. Which church would you rather be a part of? Thank you for sharing. I agree that the church is not a family business . But the sad part is this is how some churches operate today. I disagree the the fact that a lot of found pastors will pass the church to a son of a son in law. I see it as both, and no conflict therein. Holistic. I think either one without the other would be a diminished condition; spiritually incomplete. 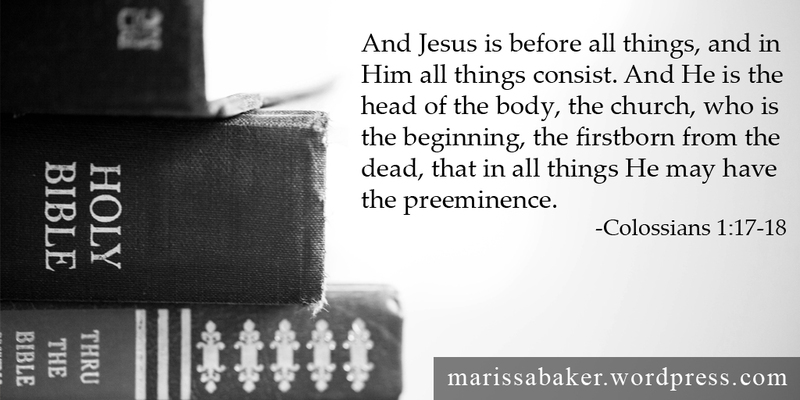 Jesus lived it, and proclaimed it. It’s not an either/or. I believe he wants us to do similar. Marissa your writing is always thought-provoking and well written. I like it. Even when I don’t necessarily agree with all of it.